Is there such a thing as ‘flying ant day’? The question has been posed: Does flying Ant day Exist? A new study claims to have cracked the case! Professor Hart who was one of the authors on a report discussing this, explained that although you can not predict the British summertime weather you can you can guarantee that flying ants will make their annual appearance at some point. The domestic ant we’re used to seeing do not have wings and are busy working to even take time out for a flight, but theses ants are simply female worker-ants who keep things ticking over to make sure the colony survives and grows. Flying ants on the other hand are important for the species to survive. Once the colony has grown it stops investing time into growth and starts investing in reproduction. The worker ants cannot start a new colony; for that you have to be the fertile, “queen” ant that has mated with a male from a different colony. 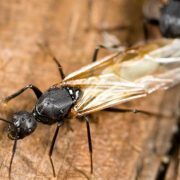 The flying ants we see in the summer are these potential new female queens and male ants embarking on a mating flight. http://wp.freedomofcreation.co.uk/howtokillanhour/wp-content/uploads/sites/65/2017/07/flying-ant.jpg 365 648 sadiaakhtar http://wp.freedomofcreation.co.uk/howtokillanhour/wp-content/uploads/sites/65/2017/09/htkah-web-logo-2017.png sadiaakhtar2017-07-27 20:13:432017-09-06 17:53:39Is there such a thing as 'flying ant day'? A new vending machine could be on the American market soon. 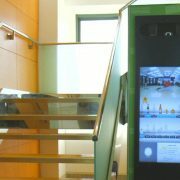 A vending machine fitted with biometric security has been developed which will be used to dispense a variety of restricted goods including alcohol, ammunition and cannabis. The ‘secure’ device will use the customers veins in their fingers to identify if that person has the right to buy that product. It will obviously only be available in states where it is legal to buy cannabis and several are already available in California. A member of the Advisory board said although it’s gone through vigourous tests but as it’s connected to the internet it could still be vulnerable to hackers. Concerns raised are: will there be a limit on how much can you buy and who will be regulating this???? The University of Washington researchers have developed new technology that once paired up with AI can create some serious output. 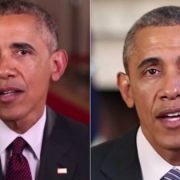 Firstly they produced a photorealistic former US President Barack Obama, then then Artificial intelligence was used to precisely model how Mr Obama moves his mouth when he speaks. A start-up company that specialises in robotics has created furniture that you can speak to and move on demand. 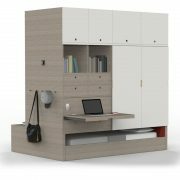 The furniture re-arranges itself to create maximum space in small apartments. The working name of this tech is Ori for now, it has been developed in the Massachusetts Institute of Technology and they’re currently pitching the project to major companies. Let’s hope the technology develops far enough for you to not lose your keys or your phone down the side of a sofa. 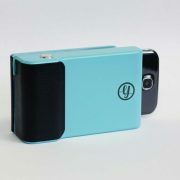 To buy your own Prynt please click here! We recently got to play with an amazing cool new drone called the DJI Spark, complete with HD 1080p camera, a mechanical gimbal and intelligent flight controls, this is a new affordable drone, designed to get everyone involved in the world of drones! 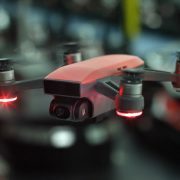 The DJI Spark has the ability to recognize your face with tech known as FaceAware and will take off and hover as soon as it turns on, not only that you can take photo’s, which are shareable with the DJI Go 4 app, with hand gestures! Plus all these features, which we were very impressed with! To buy a DJI Spark please click here! http://wp.freedomofcreation.co.uk/howtokillanhour/wp-content/uploads/sites/65/2017/07/7ad238093525bf242f54a87f3e64e0dd.jpg 1080 1920 billywright http://wp.freedomofcreation.co.uk/howtokillanhour/wp-content/uploads/sites/65/2017/09/htkah-web-logo-2017.png billywright2017-07-26 00:00:252017-09-06 17:54:21DJI Spark! 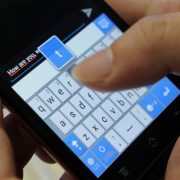 Texts, Emails and Voicemails could soon be considered as a valid will by the courts after a radical overhaul of the inheritance laws, if approved by a judge. Believing that the current laws around wills are outdated and need to be brought into the modern world as the previous laws are “Failing to protect the vulnerable” regarding conditions around older people who suffer from dementia. The Law Commission (who oversee the laws) are well aware that this proposal may cause arguments, stating that the current rules are unclear and too formal, (40% of people die without making a will) the law would need to be softened to encourage others to make a will. This would open the door for those who have not left a will, the family can apply to have the intentions that they expressed in a message, email or voice recording be recognised as a form of a last testament. Plus it would allow those who are unable to write a will, either by pen or digitally on a keyboard, will be able to leave one as a voice recording. A man has had his severed thumb replaced by his big toe. Yes his toe. 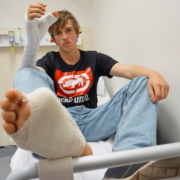 20 year old cattle worker Zac Mitchell had his thumb severed when he had his hand kicked by a bull into a fence in Western Australia. Placing his thumb in a cooler full of ice to preserve it but it surgeons were unable to save it and used his big toe in it’s place. 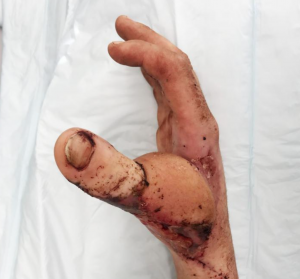 The Sydney Eye Hospital who completed the procedure, apparently stated that it’s rare to transplant a whole toe with patients usually resorting to partial toe relocations. Mitchell now requires more than a year of rehab and he plans to return to work once recovered. We recently got to see War For The Planet Of The Apes for the show and we think that it’s awesome! But we won’t say much more, to hear our thoughts on the film please listen to the show clicking here! 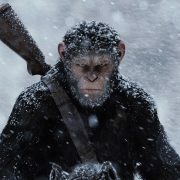 and read more about War For The Planet OF The Apes below!